Do you often find yourself lacking the motivation or energy to start a project or do anything? You get motivated for half a second, then all the energy and joy just disappears from you. The feeling is similar to as if you light a candle, and just as the candle has been lit someone pours water on it. Making it difficult to reignite the candle again. I had this exact problem just a week ago, but I think I finally figured out what caused me to lose all the motivation and energy. There can be many reasons for having no motivation, but usually, it’s either that I have no motivation or not enough motivation. I never, to my knowledge, encountered this scenario where someone pours water on the candle. If the situation is similar to you, I hope this article can shine some light on why you might lack motivation. As I noticed that my energy levels were lower after the Holidays (I didn’t exercise regularly during that week), I began working out again. And sure enough, my energy went up just as expected. But I still had no motivation or energy for doing things. I had the energy, but I couldn’t use it for fiddling with my projects. Or for that matter, I didn’t have any energy to work at all. I thought it might have to do with seasonal depression, but I have beaten it before, and the symptoms didn’t match. I did have energy, and I did have that initial burst of motivation, something I lacked during the seasonal depression. In addition, I recently discovered that I’m more extroverted than I thought, but this time around I honestly did feel like my introverted side needed more attention. So I didn’t need to be more social. Moreover, I started with My Miracle Morning again after the Holidays as that routine also had taken a break during that time. The Miracle Morning gave me a motivational and energy boost in the mornings. But still, I couldn’t use that energy for work or my projects. Then I thought it might have something to do with my anxiety and being close to burned out during November and December. Maybe I couldn’t work as much as I did before; the mind does change after a burnout, making it harder to work and easier to burn out again. And while I could accept that, I would probably have some motivation during the day. So what the hell was the problem? I heard this suggestion many times, but oh did I take a break. While I did exercise, did my miracle morning, worked for one or two hours I mostly played games. That was something I was motivated about and fun to do. I even got a few insights from playing games. As usual, I often get tired of playing games and doing virtually nothing. That’s when I get the motivation and energy to do something else. Sure enough, the initial burst of motivation came but was squashed directly. Since I didn’t have any motivation to work that led me to continue in the same pattern. Working a few hours and then playing games for the rest of the day. I decided to create a system that works even though I have no motivation. And I honestly did partially succeed at that. 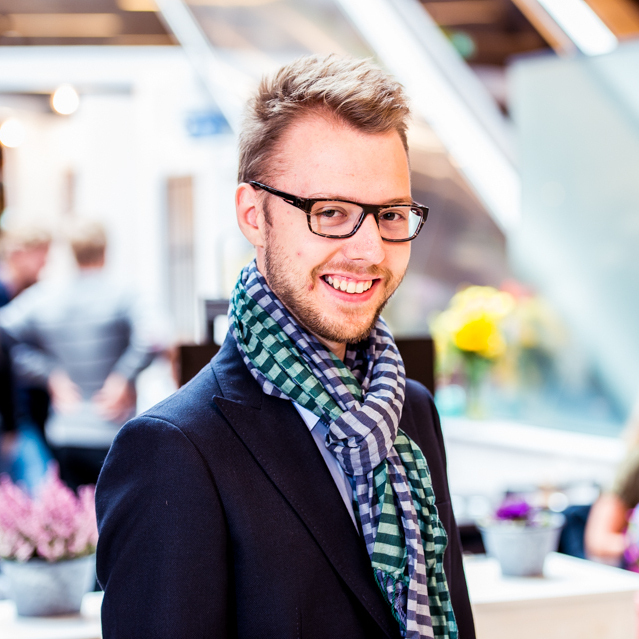 I love gamification, and thus I downloaded the app Do It Now – RPG To Do List | Task List. From playing lots of Factorio, I noticed that I get motivated by seeing progress, and that was something that I lacked when I worked. When I worked I couldn’t see that I did, in fact, come closer to the goal. In the app, you increase custom made skills and characteristics; this helped somewhat with making it easier to work as I could partly see my progress. But I also got gold from getting up on time, working, etc. Gold that I had to spend to be able to play games. But as mentioned, seeing a skill increase with a number isn’t the same thing as visually being able to see the difference. I would love an app where I can actually visually see the progress I’m making. For example, a city that grows different parts depending on what skills increase. While all this worked to create more discipline, it only slightly improved my motivation. But at least it did improve my motivation. Last year, I read the Diamond Cutter. It describes several exciting techniques and strategies to take huge leaps and live a fulfilling life. Of course, I’d like to try these methods, but I never found the time to try them. But as I’m not making any progress I thought, what’s can I possibly lose? A day of non-productive work. So I decided to try one of the techniques, namely the weekly circle. During this day, Wednesday in my case, I take the whole day ‘off’ for introspection. I’m not allowed to have a conversation, only to receive minimal input from my surroundings. This means no music, minimal reading in the form of only personal development books, not doing household tasks like cleaning. It’s a day to focus on your life and business but from another perspective. I had a few things and problems on my mind. But I decided to tackle the “What is it that’s squashing my motivation?” problem. When I went out for a run, I fixed my mind to try to come up with ideas. And during the run, two causes popped into my mind. When I did my yearly review, I noticed that I have a fear to follow through and finish a project. I often quit just before the finish line. So for this year, I decided I would only work on one project, coaching, and not on anything else. While the intent was right, it turned out to add a lot of pressure, but not only that. As I didn’t allow myself to start other work projects, I subconsciously didn’t let myself even to begin personal projects. This was one of the reasons why my brain to squash any motivation. The problem was that I still only wanted to focus on one task. I do want to finish something, and if I start new projects every other month, I’ll never end a project. Or so I thought. But I did work for several years on just one project, my game Voider, and I didn’t finish it. So the problem is that I’m not taking action on the most important things that move me towards the finish line. I always find myself doing things that drive me in a direction, but never towards the finish line. I’ve been working and working for six years now, and still, have ‘nothing’ to show. At least not income wise because (almost) never I finish a product. Not finishing has caused me feel ashamed of myself. But also guilty because I haven’t kept my promise that I will somehow make it work. As of late, I’ve started doubting myself if I’ll be able to accomplish anything. Which might be for the better; to be able to look at the truth and see it for what it is, then take action in the right direction. Not just think that everything will work out. But I also feel ashamed that I can’t work for more than 1–2 hours per day. I want to be able to feel that I want to work (tricky sentence). As you might imagine, feeling ashamed and guilty doesn’t help me work more. So what can I do about the situation, both with shame and guilt, but also to take action (in the right direction) in coaching? I loved my introspection time I had on Wednesday. I got real tangible results from it; it moved me forward in the right direction. In fact, all these ideas spawned from just that Wednesday. Another problem I had was lack of motivation to work and take action on beginning to coach. But if I could limit the time I worked on this issue so that it wasn’t overwhelming that could allow me to feel more motivated and not overwhelmed. It’s not that I don’t like coaching, I love it, it’s just that I have trouble working so that it comes true. I felt that this might not be enough as I want to remove the pressure from myself. So besides that, I set a target: The day is successful if I either complete my Most Important Thing (MIT) and one other task or if I work for three hours on my MIT. Practically this meant that I only had to do one or two things during the day. What often happened though was that because I removed the pressure, I often found myself continuing to work. Finally, the only problem left was what to do with all the ideas I get. As putting them aside doesn’t work for me I need to have a timeslot where I can have an outlet for my creativity, passion, and motivation. During this time anything would be allowed, even though I’m not sure if the project would benefit my business or not. The solution I came up with was to make my entire Friday like this. I don’t even have a minimum amount of time I have to work or an MIT. Preferably it should be business related, but it doesn’t have to be. This solution turned out to work quite well; as last Friday, I researched about WordPress themes and landing pages. Which, funnily enough, is the next important step toward the coaching goal. What made a difference was that I didn’t put any pressure on myself to complete the task. I researched and fiddled around just trying to understand rather than to make progress, even though making progress is of course part of it. Framing it like that made everything a lot easier. Is it okay to work this little? One question I had left after coming up with the solution: Is it okay for me to just work for three hours, to take Wednesdays ‘off’ and have a fun on Friday? Meaning, is it okay to just ‘work’ three days per week? I have the idea that I have to work hard to make it, but maybe my definition of hard is wrong. If I want to step up my game and write two articles per week and start coaching, then I need more time. But I can’t jump to that scenario from my current situation; I have to build myself up slowly. I have to build the system slowly but methodically. And even if I would only work three days per week, that is okay if that’s what I want. I don’t have to conform to societal standards and put pressure on me. 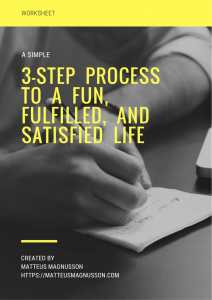 I want to live a fun and fulfilling life, whether that means working three days per week or six days per week during certain times, that’s up to me to decide. All in all, I can say that the new solution works. At least for now. I spent my entire Sunday programming. Something I’ve wanted to do for a long time, but whenever I got motivated someone poured water on me. (Hint: I poured water on myself). 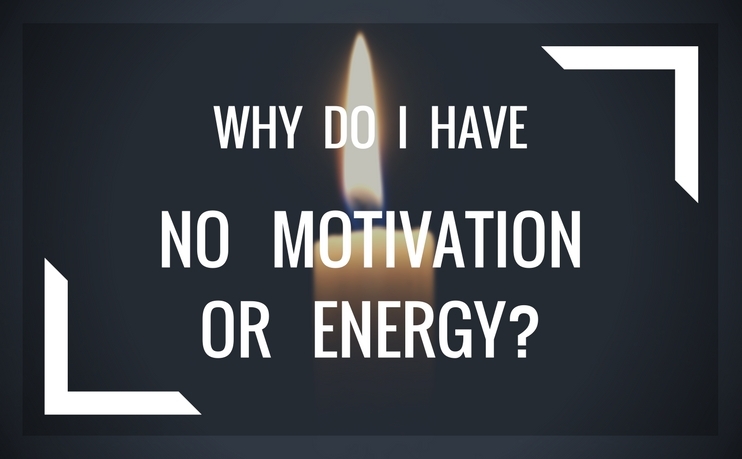 What’s draining your motivation and energy?